Amazon’s Kindle Direct Publishing (KDP) team announced this week they continue to see strong response from customers to the Kindle Unlimited (KU) book borrows scheme and are adding a bonus of $4.25 million to the previously announced base fund amount of $3 million. This brings the total fund to $7.25 million for the month of December. • Renewal Rates – Authors have chosen to renew their titles in KDP Select at rates in excess of 95% in each month of 2014. • A La Carte Sales Growth – During the 5 full months since KU launch (August to December 2014), royalties to KDPS authors from a la carte sales have grown faster than a la carte sales on KDP overall or Kindle overall. • Adding in the payments for KOLL and KU over that time, total royalties to KDPS authors more than doubled when compared to the same period in 2013. • Total earnings on titles priced $2.99 or greater are growing faster than the overall average. The same is true for titles 150+ pages in length. A KDP spokesperson says, “To further highlight the KDP Select books that are most popular with customers, we will again award “KDP Select All-Stars” for December to the most-read authors and titles in the U.S., U.K. and Germany. We’ll spotlight each All-Star author and title on applicable detail pages. Since Amazon rolled out its Kindle Unlimited initiative, enabling subscribers to borrow as many ebooks as they desire for just $9.99 a month, debate has intensified over whether the scheme is good or bad for participating authors. As participating authors – all our eight book titles are registered in the scheme – we have followed the debate with interest. And we know we are not alone: social media is full of author speculation on the merits or otherwise of Kindle Unlimited. One of the best summaries of the new initiative (in our opinion) is offered by American author and publishing veteran Michael J. Sullivan in a recent contribution to DigitalBookworld.com’s excellent site. In an article headed “Kindle Unlimited’s Two-Tier System Makes Some Authors Second-Class Citizens”, Sullivan summarizes the scheme and then perceptively dissects it. 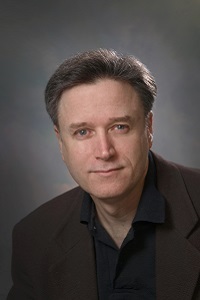 Author Michael J. Sullivan…critical of Kindle Unlimited. Self-published authors MUST be exclusive to Amazon (except for a handful of best-selling authors) and can’t sell their books on other sites. Traditionally published books have no such exclusivity requirement and can be sold wherever the publisher wishes. Self-published authors are paid from a pool set by Amazon each month. They have no idea how much they will be paid per book. Traditionally published books get paid exactly as they would if a sale were made. They know exactly what the unit price will be for each book and are not relying on the Amazon’s whim as far as what their unit price will be. …To add insult to injury, the current payout system has self-published authors subsidizing the payments of the traditionally published titles, much the way best-selling titles subsidize books that aren’t commercial successes. By this I mean that one party is getting less to offset the costs of someone else’s works. I’m disappointed with Amazon for not offering the same terms to both self- and traditionally-published authors. 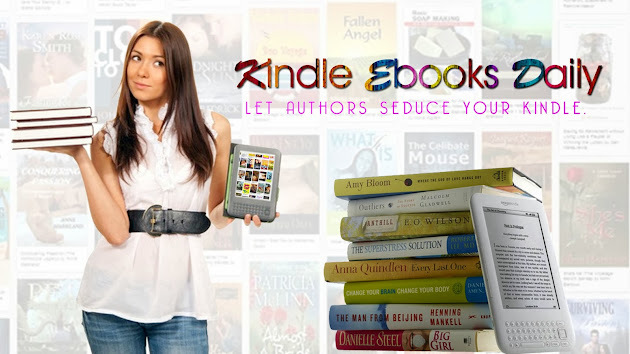 Authors have grown accustomed to poor treatment from Publisher’s, and because of the way Kindle Unlimited has been rolled out, they can add Amazon as just one more multi-billion-dollar company taking advantage of them. Amazon’s announcement that customers who subscribe to its new Kindle Unlimited initiative can borrow as many ebooks as they want to from a library of over 600,000 titles is exciting readers and authors alike. While not quite a revolutionary idea – previously subscribers enrolled in the Kindle Owners’ Lending Library (KOLL) could borrow one ebook per month – the new system means there’s no limit to the number of ebooks subscribers can borrow – provided they pay the $10 monthly fee. For those avid bookworms who regularly read one book, or more, per week, Kindle Unlimited represents excellent value. It also means they can ‘try out’ books by new or unknown authors by borrowing the books in stead of having to shell out valuable dollars and hope they (the books) justify their investment. For authors, like us, who still receive a payment – albeit a reduced payment – from Amazon for every book borrowed, the scheme provides additional access to readers who may not readily buy our books; it’s also likely to create excellent word-of-mouth, leading to more sales. It’s a win-win for readers and authors. All books currently enrolled in KDP Select with U.S. rights will be automatically included in Kindle Unlimited. KDP Select books will also continue to be enrolled in (KOLL) available to Amazon Prime customers in the U.S., U.K., Germany, France, and Japan where authors will continue to earn a share of the KDP Select global fund when their book is borrowed.